Motorists considering buying a car from Chevrolet may find they can drive away in a brand new auto for less than £4,300 if they have an old banger to trade in. 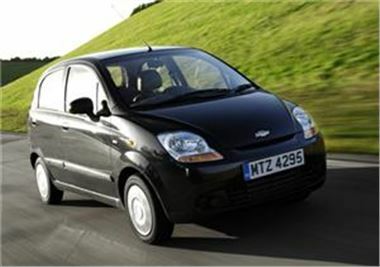 The manufacturer has pointed out that participants in the government's vehicle scrappage scheme will be able to buy an entry-level Matiz for £4,295. In order to be eligible for the initiative, people must have owned a car that is a minimum of ten years old for at least 12 months. Motorists who are in possession of such a vehicle and decide to trade it in for the Matiz could make savings in other areas as well, Chevrolet stated. It explained the model qualifies for cheap insurance and offers excellent fuel economy. Meanwhile, motorists looking for something a little larger may be pleased to hear the whole of Chevrolet's range is available under the scrappage scheme. Earlier this month, the manufacturer announced any drivers ordering the new Cruze 1.6 S before the end of August will also drive away with free air conditioning.